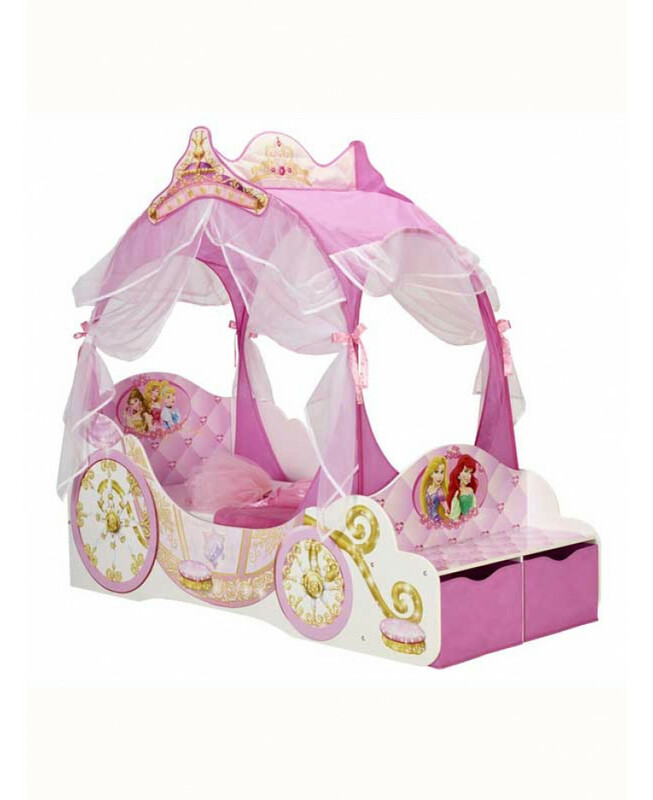 This Disney Princess Carriage Toddler Bed is the ultimate fairytale feature for any little princess’ bedroom. 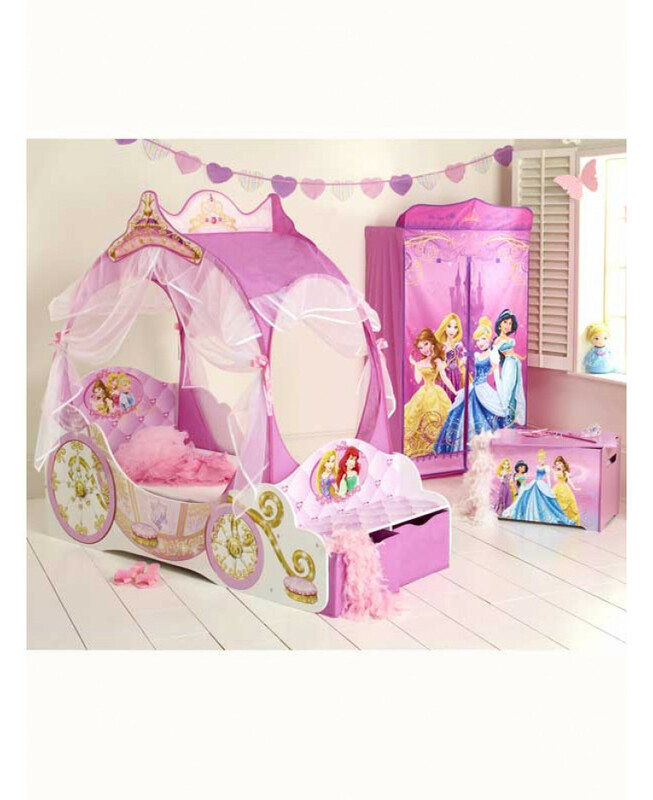 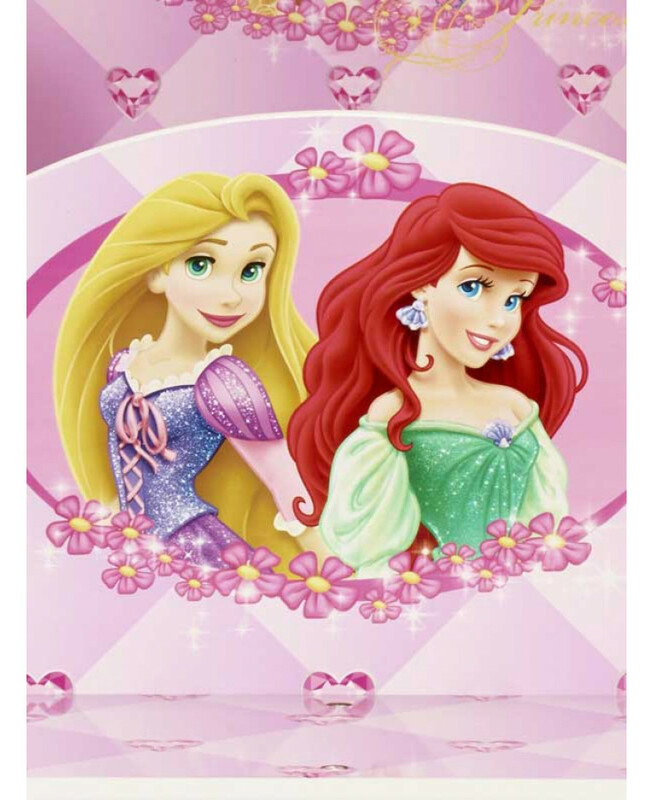 Featuring favourite Disney Princesses including Belle, Cinderella, Rapunzel, Ariel and Sleeping Beauty this girls bed has plenty of fantasy touches like a pretty pink canopy ceiling and voile curtains. 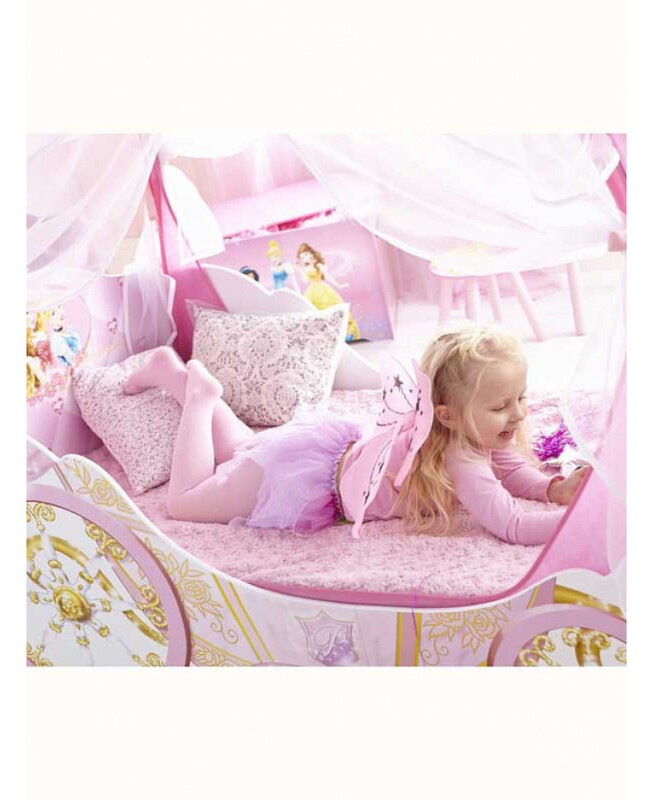 The carriage cot bed is also designed for a safe and secure nights sleep with protective panels on the side of the frame to stop bedtime tumbles, robust and durable wooden MDF design and strong fittings and fixtures. 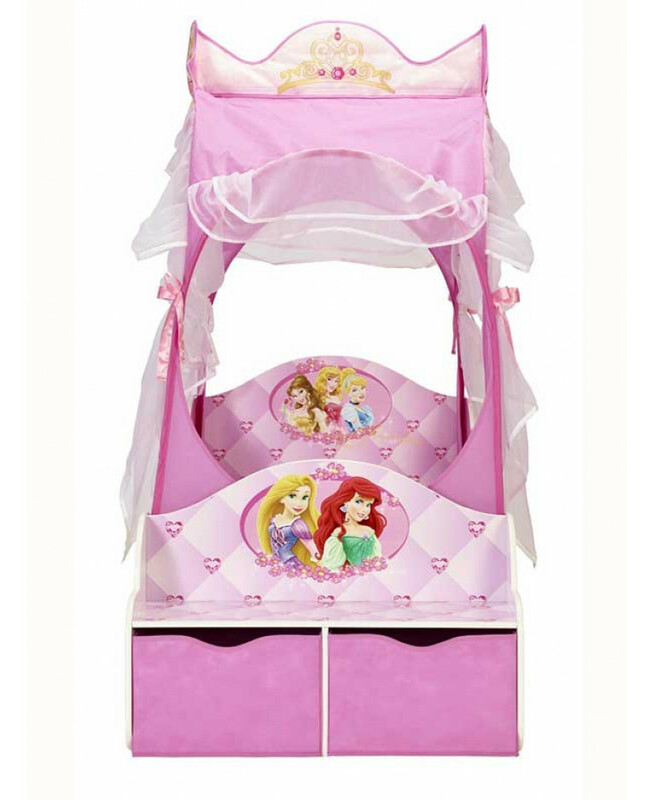 With easy to build instructions and parts, under bed storage for toys and clothes and a shelf seat for books this princess bed has practical appeal too.